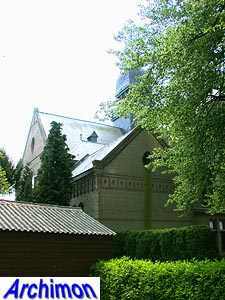 In 1819 the medieval village church of Bladel was returned to the catholics, after having been used by the protestant minority ever since it was confiscated in 1648. 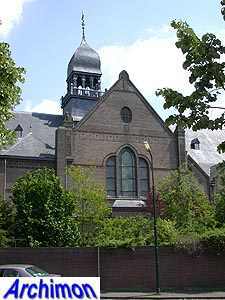 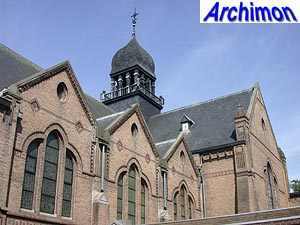 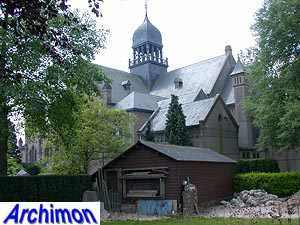 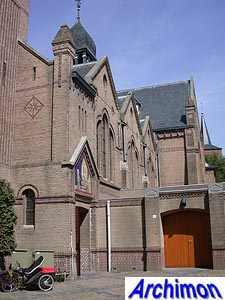 In 1867 the old church was demolished and replaced by a new neo-Gothic church designed by P. Bekkers, which in its turn was replaced in 1925 by the current church, built in the garden of the presbytery. 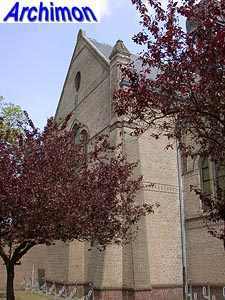 The church was not oriented; the choir faces the north. 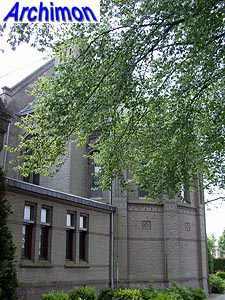 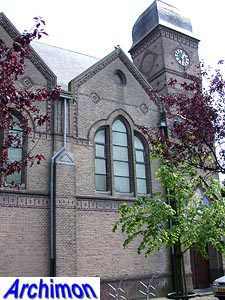 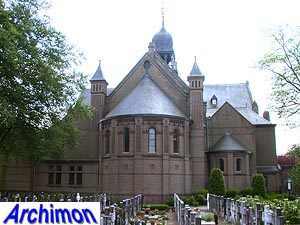 The current church was designed by J.H.H. 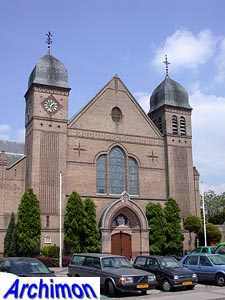 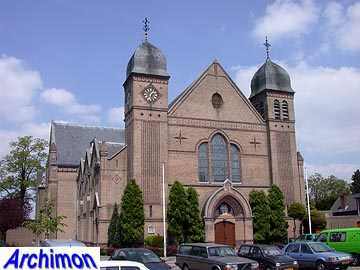 van Groenendael, who had also built the church of nearby Hoogeloon in 1924. 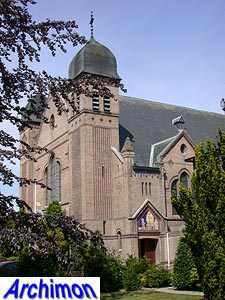 While that particular church was remarkable for its combination of a mostly neo-Gothic church with a Baroque dome, the church of Bladel is even more eclectic. 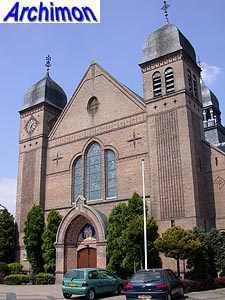 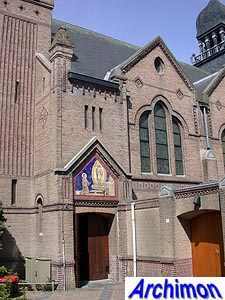 The church is generally in a neo-Romanesque / Byzantine style, but it has Expressionist brickwork details, while several spires remind of Baroque. 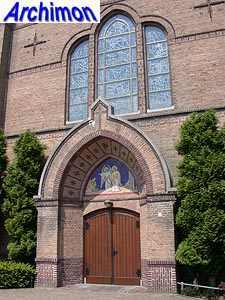 It's a three-aisled cruciform pseudo-basilica. 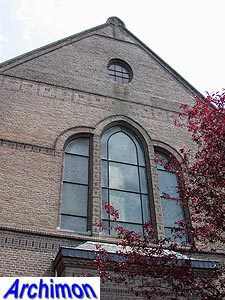 The traves of the side-aisles have separate gables and roofs and each have a big three-part pointed roof. 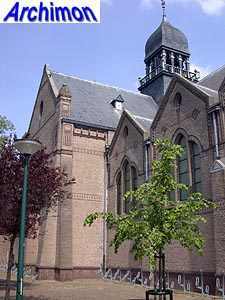 At the front the facade is flanked by two low towers with Baroque spires. 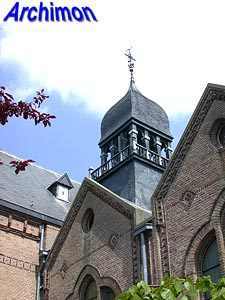 The taller crossing-tower has an open spire in similar style. 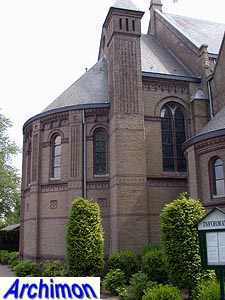 Small turrets flank the semi-circular apse of the choir. 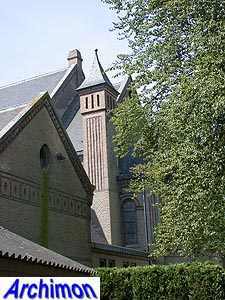 The shape of this apse is repeated in the apsidals at the back of the transept. 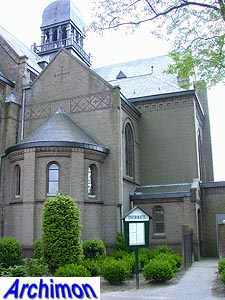 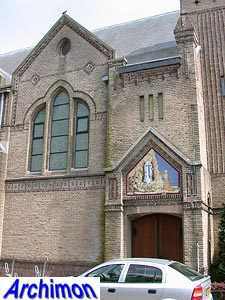 In 1928 Van Groenendael built a largelysimilar church in Kaalheide (L), the St. Jozef, only built out of natural stone and with a tall tower at the front.